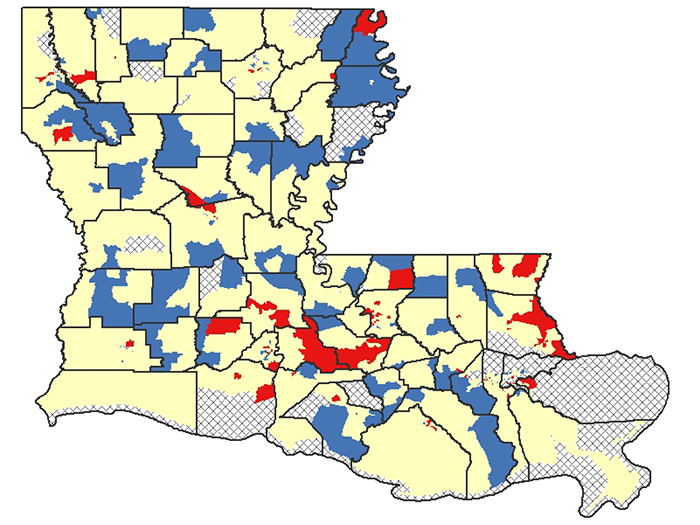 LSU Health New Orleans Louisiana Tumor Registry (LTR) has published the second report of statewide cancer incidence rates by census tract. The publication, which reports 2005-2015 combined cancer incidence data, found that 82% of the census tracts in Louisiana met publication criteria for all cancers combined. For specific cancer types, the numbers of census tracts with statistically significantly higher incidence rates as compared to the rates for Louisiana varied by cancer type. Overall, 291 census tracts had statistically significantly higher incidence rates for all cancers combined and/or for one or more specific cancer types. The release of cancer incidence data is governed by the federal patient privacy law and federal standards for producing valid data. To protect patient confidentiality, HIPAA prohibits publication of health information by geographic area when the underlying population is 20,000 or less. The United States Cancer Statistics standards for generating reliable cancer incidence rates require case counts of 16 or more to report. To increase the number of census tracts meeting the publication criteria, LTR combined 11 years of data – 2005-2015. Cancer incidence rate is the number of newly diagnosed cancer cases in a specified population during the specified years, usually expressed as the number of cancers per 100,000 population. Census tracts are small, relatively permanent statistical subdivisions of a parish. Census tracts generally have a population size between 1,200 and 8,000 people. Of the 1,148 census tracts in Louisiana, 943 met the publication criteria for all cancers combined. For specific cancer types, fewer census tracts met the criteria. For all cancers combined, of the 943 census tracts meeting the publication criteria when 2005-2015 data were combined, 84 census tracts from 29 parishes had statistically significantly higher incidence rates as compared with Louisiana, and 108 census tracts had lower incidence rates. Cancers of the Lung and Bronchus: Of the 866 census tracts meeting the publication criteria, 67 census tracts in 31 parishes had statistically significantly higher incidence rates than Louisiana, and 68 census tracts had lower rates. Prostate Cancer: Of the 501 census tracts meeting the publication criteria, 41 census tracts in 18 parishes had statistically significantly higher incidence rates than Louisiana, and 43 had lower rates. Female Breast Cancer: Of the 553 census tracts meeting the publication criteria, 21 census tracts in 14 parishes had statistically significantly higher incidence rates than Louisiana, and 38 census tracts had lower rates. Colorectal Cancer: Of 737 census tracts meeting the publication criteria, 51 census tracts in 29 parishes had statistically significantly higher incidence rates than Louisiana, and 28 census tracts had lower rates. Cancers of the Kidney and Renal Pelvis: Of 172 census tracts meeting the publication criteria, 20 census tracts in 15 parishes had statistically significantly higher incidence rates than Louisiana, and none had lower rates. Non-Hodgkin lymphoma: Of 128 census tracts meeting the publication criteria, 13 census tracts in 7 parishes had statistically significantly higher incidence rates than Louisiana, and none had lower rates. Urinary Bladder Cancer: Of 119 census tracts meeting the publication criteria, 19 census tracts in 14 parishes had statistically significantly higher incidence rates than Louisiana, and none had lower rates. Melanoma of the Skin: Of 115 census tracts meeting the publication criteria, 67 census tracts in 17 parishes had statistically significantly higher incidence rates than Louisiana, and none had lower rates. Pancreas: Of 16 census tracts meeting the publication criteria, 5 census tracts in 3 parishes had statistically significantly higher incidence rates than Louisiana, and none had lower rates. Oral Cavity & Pharynx: Of 28 census tracts meeting the publication criteria, 9 census tracts in 7 parishes had statistically significantly higher incidence rates than Louisiana, and none had lower rates. Leukemia: Of 24 census tracts meeting the publication criteria, 5 census tracts in 5 parishes had statistically significantly higher incidence rates than Louisiana, and none had lower rates. Thyroid: Of 19 census tracts meeting the publication criteria, 9 census tracts in 5 parishes had statistically significantly higher incidence rates than Louisiana, and none had lower rates. Corpus Uterus: Of 3 census tracts meeting the publication criteria, 2 census tracts in 1 parish had statistically significantly higher incidence rates than Louisiana, and none had lower rates. Liver and Intrahepatic Bile Duct: Of 2 census tracts meeting the publication criteria, 2 census tracts in 2 parishes had a statistically significantly higher incidence rates than Louisiana, and none had lower rates. Stomach: There is only one census tract meeting the publication criteria and the incidence rate was not statistically significantly higher than Louisiana. Regarding the so-called “Cancer Alley,” a commonly used term that has no scientific validity, results are mixed. In the industrial corridor, consisting of Ascension, East Baton Rouge, Iberville, St. Charles, St. James, St. John, and West Baton Rouge parishes, the report documents significantly higher cancer incidence, as well as significantly lower cancer incidence rates as compared with Louisiana, for some cancers in some individual census tracts. For example, in St. John the Baptist Parish, of the 11 census tracts meeting the publication criteria, only one was statistically significantly higher than the state rate for all cancers combined. This tract (near the border of St. Charles Parish) had an annual population of 2,840 and an average of 19 cases of various cancer types per year during the 11-year reporting period. One other census tract in a different part of St. John Parish had a significantly higher incidence rate than the state average – for female breast cancer. This rate represents an annual average of 4 cases in an annual population of 2,228 over the reporting period. Conversely, two census tracts in St. John Parish had statistically significantly lower cancer incidence rates compared with Louisiana for all cancers combined over the reporting period. With an annual population of 2,537 during the 11-year reporting period, the census tract where the Denka plant is located had an average of 14 cases of various cancer types per year and was not statistically significantly different from the state rate for all cancers combined. Besides St. John Parish, there are also census tracts with statistically higher cancer incidence rates than Louisiana for all cancers combined in Acadia, Bossier, Caddo, Calcasieu, De Soto, East Baton Rouge, East Carroll, East Feliciana, Iberia, Iberville, Jefferson, Lafayette, Orleans, Ouachita, Rapides, Richland, St. Bernard, St. Charles, St. Landry, St. Martin, St. Mary, St. Tammany, Tangipahoa, Terrebonne, Vermillion, Washington and Webster parishes. 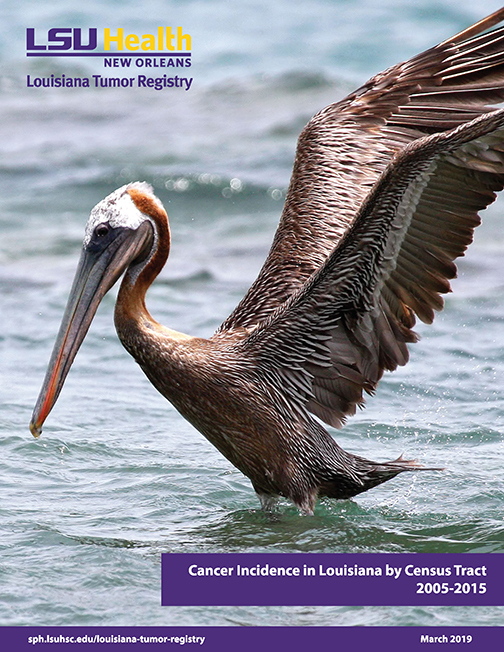 LSU Health New Orleans Louisiana Tumor Registry is a statewide population-based cancer registry authorized by law to collect data on all reportable cancer cases occurring among Louisiana residents. 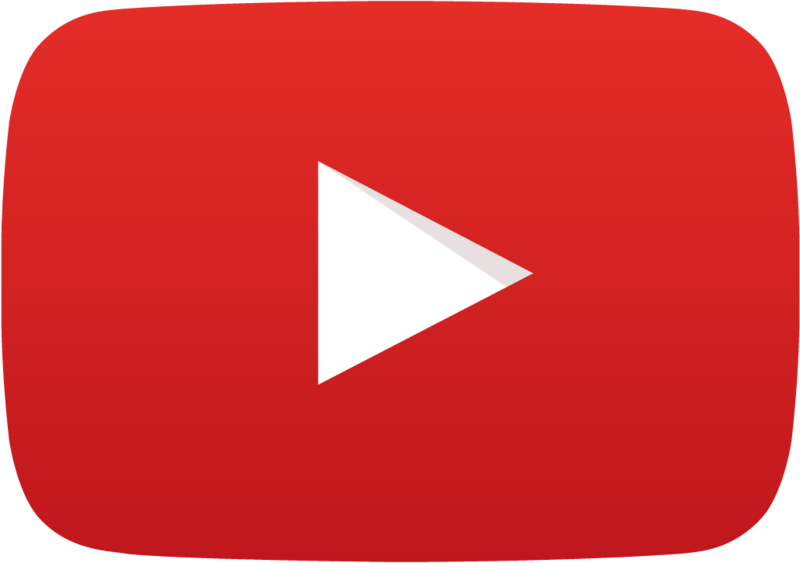 A registry serves as an official count of a specific thing and its associated identifying information. A cancer registry systematically collects data on reportable cancers, which includes patient demographics, cancer type, stage at diagnosis, and the first course of treatment, as well as survival. This information is used to answer questions such as: Are more or fewer people getting colorectal cancer from one reporting period to the next? LTR's job is to collect high-quality cancer data, which guide and support cancer prevention and control activities, as well as many other cancer-related programs and research. Policymakers, state health departments, cancer control programs and other qualified health professionals decide if further action is warranted based on the LTR data. LTR's excellence is attested by the National Cancer Institute (NCI), the Centers for Disease Control and Prevention (CDC), and the North American Association of Central Cancer Registries (NAACCR). LTR consistently achieves the benchmark of 98% case completeness set forth by NCI and has received first place awards for the quality and completeness of its data from NCI’s Surveillance, Epidemiology, and End Results (SEER) program for the past nine consecutive years. One of only 16 cancer registries in the country comprising NCI’s SEER Program, LTR is considered to be one of the leading cancer registries in the nation. 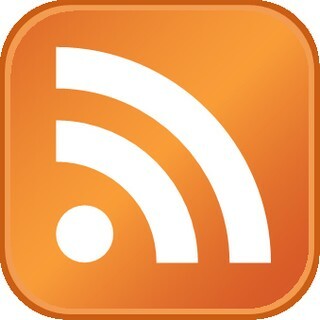 The complete report, with maps, is available online here.